Edamame is a popular snack and ingredient found in Asian cooking, mostly in Japanese cultures. It’s gained popularity all over the world, and especially in the U.S., as a healthy and delicious snack, depending on how it’s prepared. 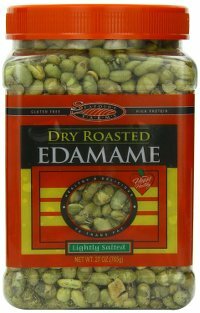 The edamame beans are essentially soybeans, that can be eaten in the pod, raw, boiled, dried, steamed, etc. Sometimes the shells are discarded, but they are tasty, as well! But, for as popular as edamame has become with people, is it actually safe for dogs to consume, too? The answer is – probably. How much Edamame is safe for dogs? Unfortunately, there just isn’t a lot of information readily available when it comes to dogs and edamame – however, this doesn’t necessarily mean it’s a bad thing. There have been no real reported cases of edamame causing any digestive or health issues in dogs when they consume a small amount. An excess of anything probably isn’t a good idea for your dog, so if you choose to feed them edamame, try a small portion at first, to see how they react – or if they even like it. Natural edamame only for dogs! Edamame on its own can be somewhat bland, which is why many people spice it up by preparing it in different ways, adding different seasonings, etc. If you do choose to give your dogs edamame, be sure you’re giving them the most natural version possible, with no extra salt or soy products added. Salt, and additional spices can sometimes cause negative effects in dogs, and will draw out water, making your dog dehydrated easily. Do you have any experiences with your dog and edamame? Please share in the comments! 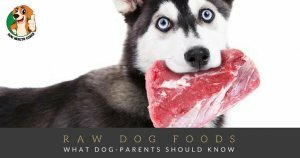 Looking for more information on salt, or soy-based products that your dog can eat, or something that may be harmful? 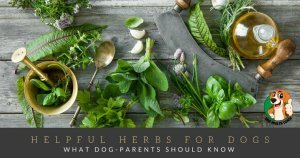 Be sure to check out our posts on those ingredients for more information, so you can be sure you’re only giving your dog the healthiest foods for their bodies, instead of something that can do damage.